There is no Kmart weekly ad for this week of February 19, 2017. With many Kmart stores closing across the nation, I think they are starting to cut back on advertising thus the lack of an ad for this week. 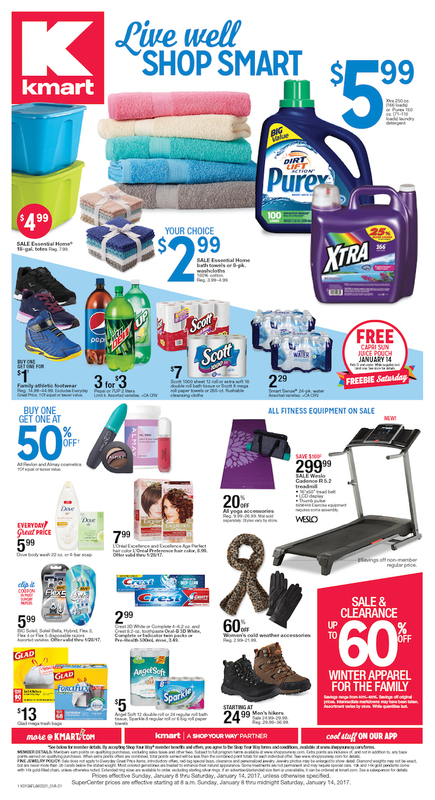 This is the last Kmart ad which was valid January 8-14, 2017. It highlighted a huge sale on winter apparel for the whole family. Fitness items, exercise equipment, and storage bins are on sale this week. Also, everyday household items are on sale including towels, laundry detergent, and storage totes. **Products and prices based on the 81505 zip code in Grand Junction, Colorado. 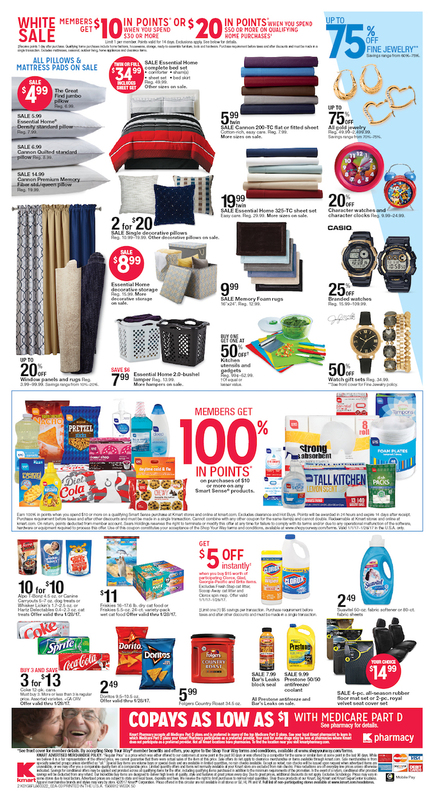 The Sunday newspaper circular distributes the Kmart weekly ad each week. Is is usually valid for 7 days, but products and prices may vary by region. They publish a weekly ad circular in the newspaper four times a month. It is usually 10+ pages in length. You can find it in the Sunday newspaper along with the other inserts. And remember if you can’t afford a product right now, you can also apply for the no money down layaway program. WeeklyShoppingAd.com features Kmart’s ad in full each week! Kmart stores are a mass merchandising company and a subsidiary of Sears Holdings Corporation. The first store was opened in 1962 in Michigan. They offer quality products such as clothing, footwear, bedding, furniture, jewelry, toys, and more at affordable prices. Some of their exclusive brands include Joe Boxer, Route 66, Smart Sense, Sofia by Sofia Vergara, and Jaclyn Smith. Their top competitors include Target and Walmart. They are known for their “Shop Your Way” program which allows members to earn points and receive benefits through both digital and physical formats. As of 2017 they will be closing 109 stores nationwide, putting them at less than 700 stores. Kmart has seen a decline in stores over the last two years and we hope there won’t be more closures in the future.